1 What is the key area of differentiation that technology can create for sport as an industry? 2 What impact artificial intelligence (AI) will have on cricket or any other sport? 3 The impact that Spektacom’s power bat will have on the game? This post is co-authored by Anil Kumble, Founder, Spektacom Technologies. While Cricket is an old sport with a dedicated following of fans across the globe, the game has been revolutionized in the 21st century with the advent of Twenty20 format resulting in a massive growth of interest in the game and fan following worldwide. This has led to an increase in competition as well as a desire among professionals and amateurs likewise, to improve the quality of their game. As the popularity of the game increased, innovative methods of improving batting techniques evolved. This has also resulted in a need for data-driven assistance for players to assess their quality of game. 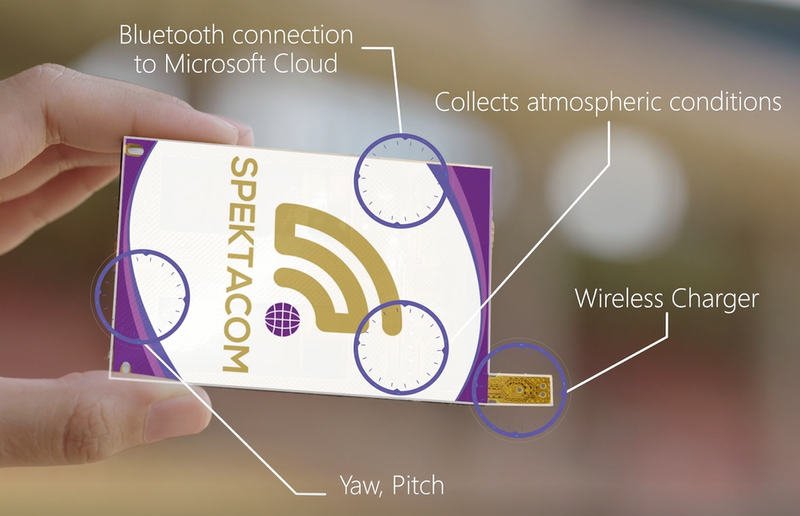 Spektacom was born with the idea of using non-intrusive sensor technology on cricket bat to harness and power the convergence of data from sticker of “power bats” with insights driven from cloud-powered data analytics, machine learning, and artificial intelligence. Learn more on AI Lab. Before we highlight how Spektacom built the solution using Microsoft AI, here are some important questions we must answer first. 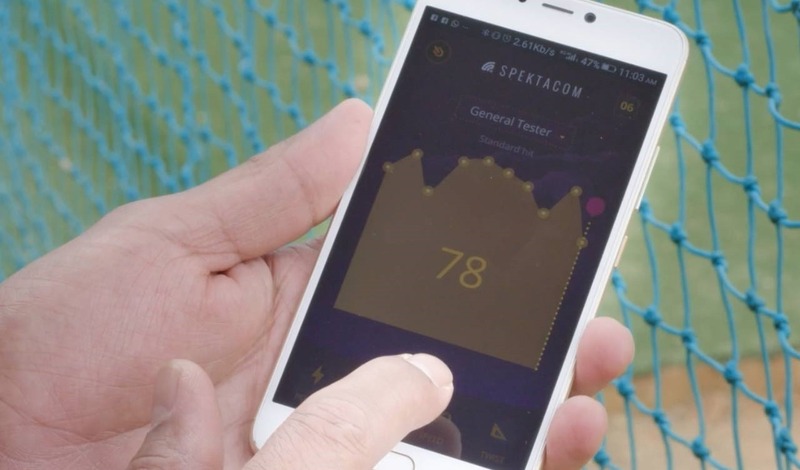 What is the key area of differentiation that technology can create for sport as an industry? During the last several years, the industry has realized the value of data across almost every sport and found ways to not only collect it, but also to organize it. However, it’s important to note that while collecting and analyzing data has become a minimum requirement in the sports industry, it’s not enough to drive future success. Deriving intelligent insights is critical, combined with the ability to put those insights to best use. What impact artificial intelligence (AI) will have on cricket or any other sport? For many professional sports teams and governing bodies, what led to past successes won’t necessarily lead to future victories. The things that gave teams a competitive advantage have now become table stakes. People are consuming sports in new ways and fans have come to expect highly personalized experiences – the sports content they want, when and where they want it. AI is transforming the way sports are played, teams are managed, and businesses are run. Teamed with machine learning and other aspects like chatbots, AI will help improve many aspects of sports. The impact that Spektacom’s power bat will have on the game? Enhance fan experience and engagement with the sport. Broadcasters to use insights for further derivations. Grassroots players and budding cricketers to increase their technical efficiency. Coaches to provide more intensely focused guidance to players. Professional cricketers to enhance performance. Overall, it will change the face of cricket as we know it because prior to this, there was no objective analytics available on a batsman’s performance. Now that we know that how technology can transform and differentiate the industry of cricket and sports with AI. 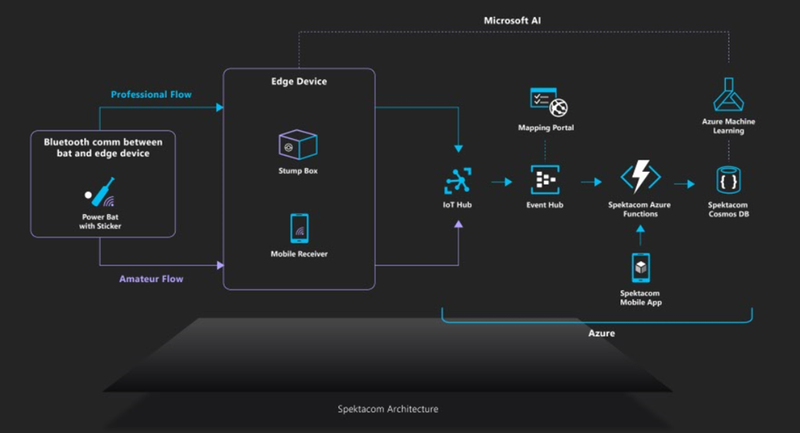 Let’s talk about the solution which Spektacom built with Microsoft. Introducing ‘power bats,’ an innovative sensor-powered sticker that measures the quality of a player’s shot by capturing data and analyzing impact characteristics through wireless sensor technology and cloud analytics. This unique non-intrusive sensor platform weighing less than 5 grams is stuck behind the bat as a sticker to measure the quality, speed, twist, and swing of the bat and the power transferred from the ball to bat at impact. These parameters are used to compute the quality of the shot to help professional as well as amateur players, coaches, and all stakeholders involved in the game to help improve a player’s performance with data-driven feedback. The data from the power bats is analyzed with powerful AI models developed in Azure and transferred to the edge for continuous feedback to the player. In the case of a professional game, the sticker communicates using Bluetooth Low Energy (BLE) with an edge device called Stump box that is buried behind the wicket. The data from the stump box is transferred and analyzed in Azure and shot characteristics are provided to broadcasters in real-time. Given that cricket stadiums have wireless access restrictions and stringent security requirements, to ensure secure communication between bat, edge device and Microsoft Azure, Stump Box has been powered by Microsoft Azure Sphere based hardware platform. In the case of amateur player scenario, the smart bat pairs with Spektacom mobile app to transfer and analyze sticker data in Azure. The solution is powered by Azure Sphere (Stump box), Azure IoT Hub, Azure Event Hub, Azure Functions, Azure Cosmos DB, and Azure ML 2.0. We hope this post helps you get started with AI and motivates you to become an AI developer. To learn more, visit AI Lab.